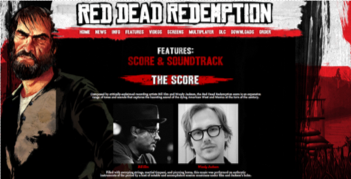 Red Dead Redemption has an interactive music score which using vertical remixing (layering). Although the specific music cues are frequently controlled by the location, the individual music layers are controlled by the player actions or situation. Below is a gameplay capture featuring music only with the dialog and sfx removed. Two articles on Kotaku which discuss how turning off the music altogether may be a better experience (they both mention Red Dead Redemption). Does this have anything to do with the choice to compose all the music in A minor at 130 bpm?